Recently, we reported that some particularly empathetic dogs were having visceral reactions to Mufasa’s death scene in The Lion King. Now, we’re forced to add another entry to the list of films, if you love your furry friend, you probably don’t want to show them. This time, the culprit is 1997’s Men In Black, which was recently screened by an outspoken pug named Bugs who gave it a scathing review. 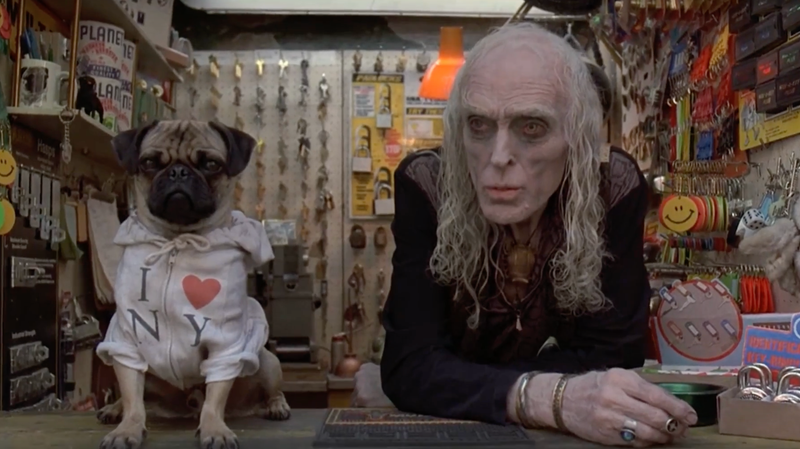 It’s common for dogs to bark or growl when other pups appear on screen, so it’s no surprise Bugs had a reaction to Frank the Pug’s smoosh-faced visage. He really seemed to take exception, however, when Tommy Lee Jones started shaking that dog around, oscillating between genuine concern and a full-chested desire to rip Jones’ throat out. If we’re being honest, we’re having a similar reaction. Don’t shake dogs, no matter how smart-mouthed they get. Video game Twitter account asks the most important question of all: "Can you pet the dog?"